Home Accessories Jewels Pick the perfect wedding ring for your special occasion! Every woman aspires to get the perfect look on her wedding as it is the most special day in her life. A wedding ring can help you get the desired look! It is a symbol of love that reminds a couple of their sacred union. However, choosing the wedding ring is not an easy task. It requires a lot of research and effort. You need to consider various factors before choosing your wedding ring. Wedding rings come in different designs and styles. Most of the wedding rings are available in gemstones and metal bands. Cubic Zirconia wedding rings are also becoming popular these days. You can choose the wedding ring that best suits your requirements and budget. Let’s take a look at the tips which can help you to pick the perfect wedding ring! You should have a clear idea about your requirements including the design, size and type of ring etc. You should know what type of ring you are looking for! Whether you want a simple ring or a ring with embellishments, you should buy accordingly. Budget is the foremost factor which should be considered before choosing the wedding ring. Chalk out a budget according to your financial condition. This can help you to narrow down your options and choose the most suitable ring without burdening your pocket! Ring size is very important when it comes to choosing the wedding ring. Make sure your ring is neither too tight nor too loose. A wrong size can spoil your mood and mess up the occasion. That is why it is necessary to choose the most appropriate ring size. You can even seek the help of a professional in choosing the right ring size. It is very important to start your search for the wedding rings early. 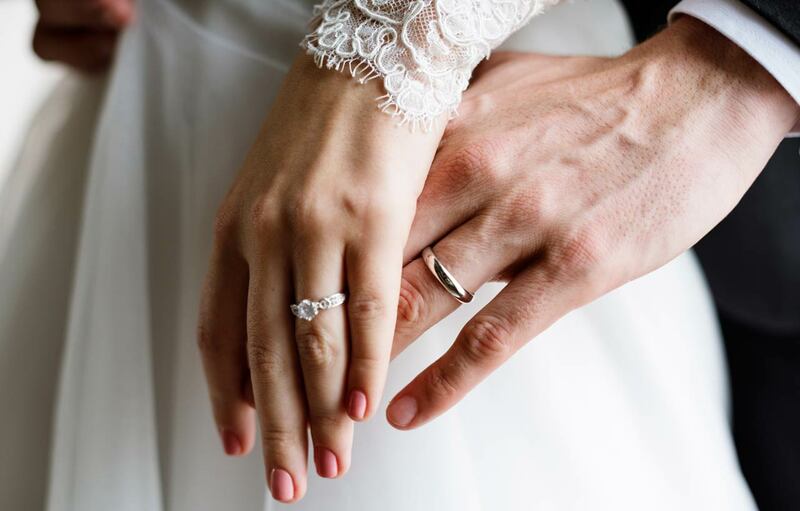 When you start your search early, you have enough time to carry out a thorough research in order to find out the perfect ring that fits your style and budget. You can even customize the ring based on your specific requirements. You should always keep your lifestyle in mind while shopping for a wedding ring. Since you are going to wear your ring every day, you should choose a ring that can be worn easily. For example, if you are fond of playing musical instruments or sports, you can opt for slimmer rings with rounded edges. You should choose the rings according to your comfort. If you want to keep the shine and luster of your wedding ring intact, you need to clean the wedding ring properly on a regular basis. You just need to wash and soak your ring in warm water. Use a brush to clean the dirt and grime from the ring. This will help you to keep your ring clean and dazzling, free from dirt. It can also help to prolong the life of the wedding ring. If you buy a gold or platinum ring, you simply need to rub it with a soft and lint-free cloth. Do not forget to check the quality of the wedding ring. Make sure the wedding ring has two marks inside the band i.e. the manufacturer’s trademark and quality mark. You can even try mixing up different metals. You can choose a blend of different metals such as gold or platinum. This can also be a good option if you want to try something different. While buying a wedding ring you should always remember that it will be there with you for the rest of your life. So, always choose a comfortable wedding ring you would like to wear every day! The wedding ring you choose should complement your style! Whether you want a traditional or a modern look, choose a wedding ring accordingly. You can even choose a wedding ring that offers a blend of both traditional and modern styles. This will provide a stylish and trendy look! There are numerous metals available with different styles and properties. 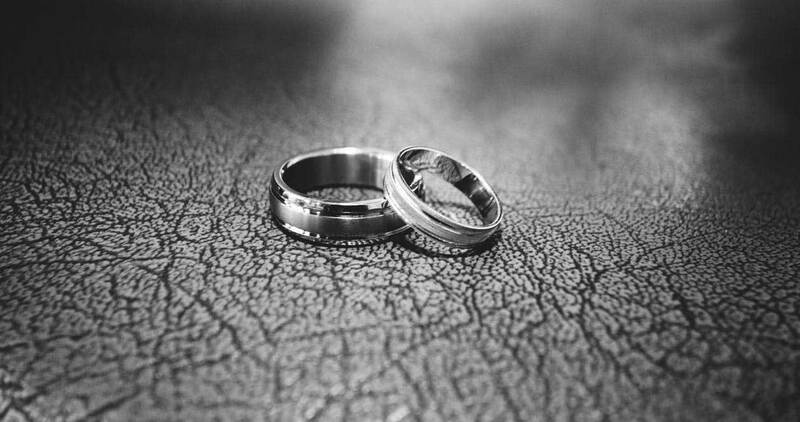 Make sure you choose the right metal for your wedding ring. Wedding rings are available in gold, silver, platinum, palladium, titanium, zirconium etc. You should choose the metal according to your preferences and style. Also, make sure the wedding ring matches your engagement ring. Choosing the same metal as your engagement ring will help to provide an elegant look to your attire! Weddings rings can add a spark to your attire and make your auspicious day more special! Carry out a thorough research and choose the best wedding ring based on your budget and specific requirements! Following these tips will definitely help you to pick the perfect wedding ring for your special occasion!